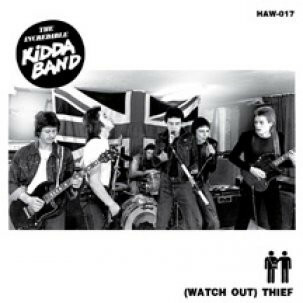 There are two things the Incredible Kidda Band do well - pub rock and power pop. It just so happens that the title track falls into the pub rock fold, and a decent example of it...not a genre I always love, but this track works. Side B is a power pop gem "You Belong To Me" - all of their best songs are power pop for my money, this one is no different. 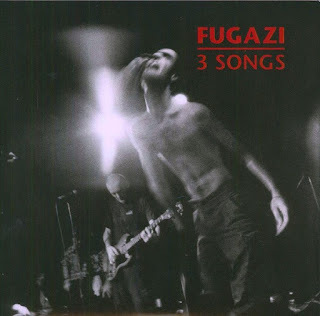 I've owned/known these three Fugazi songs forever as they are also available on the CD version of "Repeater," which I bought in the mall in Boone on a Model UN trip around 1991. I'm stoked to now finally own the seven inch version, for no good reason larger than "just because." "Song Number One" is an all-timer, "Joe Number One" is probably their second best instrumental (after "Sweet and Low" from "In On The Killtaker"), and "Break-In" is classic Guy Picciotto. If you needed a perfect three song primer on what Fugazi is all about, you'd be hard pressed to do better than this trio. Barren Girls are an interesting case...despite being from the same town as them, they somehow showed up with this EP on Merge out of nowhere before I had ever heard their name mentioned. Then they seemed to play a couple of shows, and then promptly disappeared off the face of the earth. 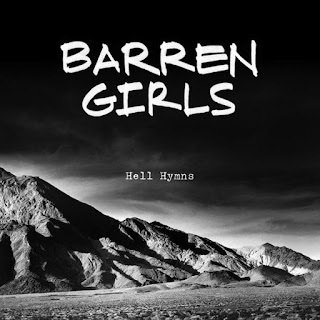 The music is fine if a little forgettable, female-fronted garage punk that sounds like a thousand other bands...I'm sure they were fun live though. They didn't stick around long enough for me to find out.